Danielle was one of only four high school students chosen to intern at the Coriell Institute for Medical Research in Camden, New Jersey. Truly a gifted student, she is driven to become a better engineer, accumulating the necessary skills to thrive in graduate school. Although science is a major part of her life, she takes time to participate in academic and engineering social groups and volunteers her time to mentor freshman and promote her sorority’s philanthropy cause, domestic violence awareness. To relax from a busy schedule, she enjoys participating in team sports, running, hiking, fishing and cooking Italian meals. 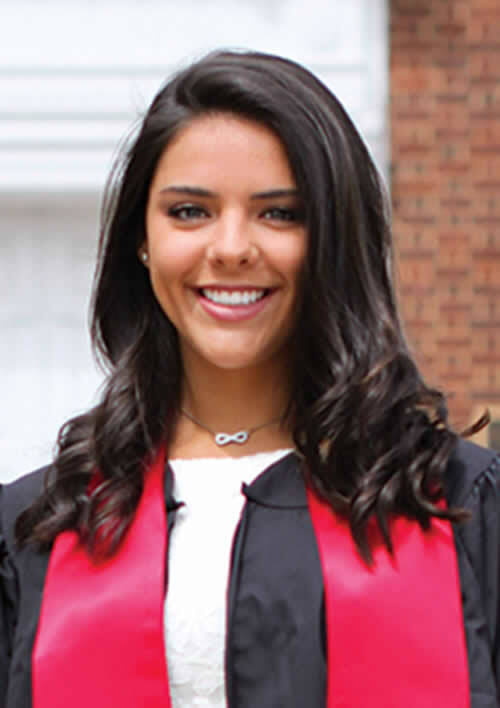 Having graduated from the University of Maryland, Danielle is now attending the University of Pennsylvania to receive her Master’s of Science in Engineering with a minor in Engineering Entrepreneurship from the Wharton School of Business.